Opening hours: Shops tend to open at about 9am and close between 4pm and 5pm, many of them closing for an hour or two at lunchtime. Restaurants usually open closer to noon, taking a break for a few hours in the afternoon, and then staying open until late, often 10pm or even 12pm. 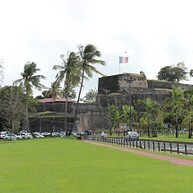 The picturesque seaside city of Fort-de-France offers plenty in the way of sights and attractions, including beautiful historical buildings, an imposing fort and ample walkability, but it is best used as a home-base for exploring the natural surroundings of the island of Martinique. Laze at idyllic beaches from coast to coast, hike up the commanding Mount Pelée, and marvel at the lush, tropical beauty of the island. The more historically-minded can check out the Musée de la Pagerie or contemplate the solemn Anse Cafard Slave Memorial, a sobering reminder or the country's and region's tumultuous past. 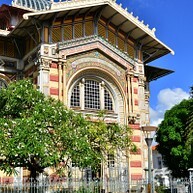 Named after Victor Schoelcher, a leader in the fight to free slaves in the Caribbean during the 19th century, this beautiful public library is one of the most recognizable landmarks in Fort-de-France. It was first built in Paris for the 1889 World Exposition, then taken apart and shipped to Martinique to be reassembled as it is seen today. The imposing Fort St. Louis, which towers 200 feet over a steep cliff offers some of the best views of both city and sea. The original construction dates back to 1640, but little of that remains, and what can be seen today is largely composed of later additions. 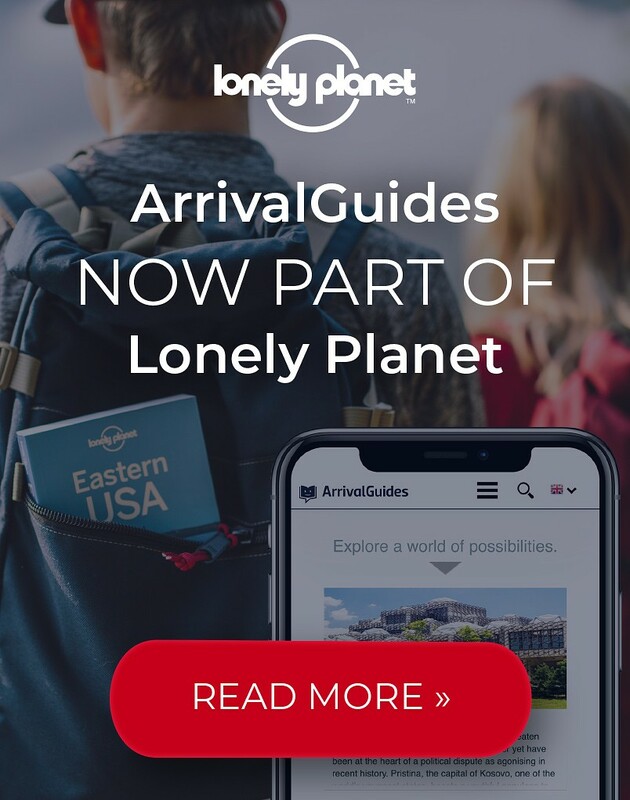 Reopened in 2014, tours are now available in several languages. 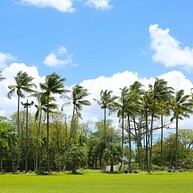 La Savane is a vast and meticulously landscaped park with lots of trees, benches and fountains, the heart of public life in Fort-de-France with shopping, dining and entertainment options all around. Locals gather at the many cafes at all hours of the day, and visitors use it as a springboard from which to explore the surrounding sights. The Balata Botanical Gardens, situated slightly inland from Fort-de-France, are a lush, 3-hectare expanse of green that contain a beguiling range of flora, comprising over 3,000 different species. The grounds are carefully landscaped, tailored and looked after, and the view from the suspended rope bridges is enchanting. The scenic stretch of highway N3 that runs from Fort-de-France all the way to Mount Pelée, better known as Route de la Trace, follows an old route carved out by the Jesuit missionaries of the 1600's, running through beautiful expanses of thick rain-forest. Stunning hiking trails branch off from the main route should be thoroughly explored to get an idea of the wild natural beauty of Martinique. 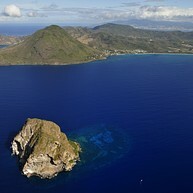 The imposing Mount Pelée towers over the island of Martinique with a menacing gaze. The volcano is going through a quiet phase, but it is still active, and as recently as 1902 had a violent eruption that destroyed the city of Saint-Pierre. Visitors today can hike up to the summit and marvel at the views on a clear day. 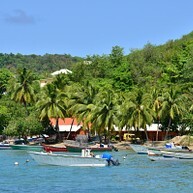 Sainte-Anne, Martinique's southernmost village, is one of the island's prettiest towns. It is often frequented by visitors for its shops and restaurants, as well as its great crafts market, but the biggest draw to the area are the wonderful beaches, like the idyllic Les Salines, just a short distance away. 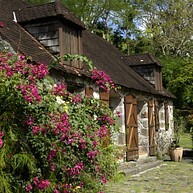 Located between, Fort-de-France and Saint-Pierre, the village of Le Carbet is a place of special historical importance, as it was the landing site for Cristopher Columbus' fourth and final voyage to the Caribbean in 1502. Today this village houses some fantastic gardens, including Latouche's Creek Garden, which boasts over 200 species of tropical plants. Lying some 3 kilometres off the southern coast of Martinique, Diamond Rock is an imposing 175-metre high rocky island, once claimed by the British as a ship (the HMS Diamond Rock), before being reclaimed by the French. Today it is known as one of the island's best dive spots. 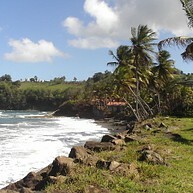 Caravelle Peninsula is a narrow strip of land that shoots out into the Caribbean waters from the east coast of Martinique. It is protected as a nature reserve and thus wonderfully unspoiled, and it is home to a large number of animal and plant species, making it a fascinating place for a hike. Ajoupa-Bouillon, located at the foot of Mount Pelée, is an area renowned for its natural beauty, featuring lush tropical landscapes. There are hiking trails leading through the forest, along ravines and past waterfalls. 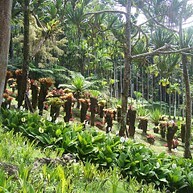 The Ajoupa Gardens also display an abundance of colourful flowers and plants. 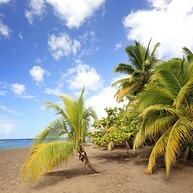 With one kilometre of of soft, warm sand, clear, tranquil water and idyllic coconut palms lining the whole area, Les Salines is one of the most popular beaches in Martinique. Families tend to crowd it a bit on weekends, but during the week it tends to be less hectic. 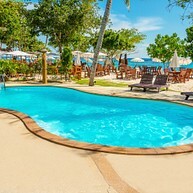 Directly across the city of Fort-de-France, on the other side of the bay of the same name, lies Pointe Du Bout, Martinique's most popular resort area. The streets are lined with quaint boutiques, breezy cafes and great restaurants, prompting many to hop on the regular ferries departing from the Fort-de-France Marina in search of entertainment, shopping and fun in the sun. The magnificently preserved Musée de la Pagerie is a former sugar estate and the birthplace of Marie Joseph Rose Tascher de la Pagerie, better known as Empress Josephine, Napoleon Bonaparte's first wife. A guide will take you through the estate to admire the numerous artifacts and share fascinating stories from Josephine's childhood. The shores of Le Diamant are home to one of the Caribbean's most impressive and sobering memorials to the region's history of slavery. The 20 beautiful statues face out towards the water with their heads bowed down, in honor of the 20 victims of a slave ship sinking that took place in 1835.